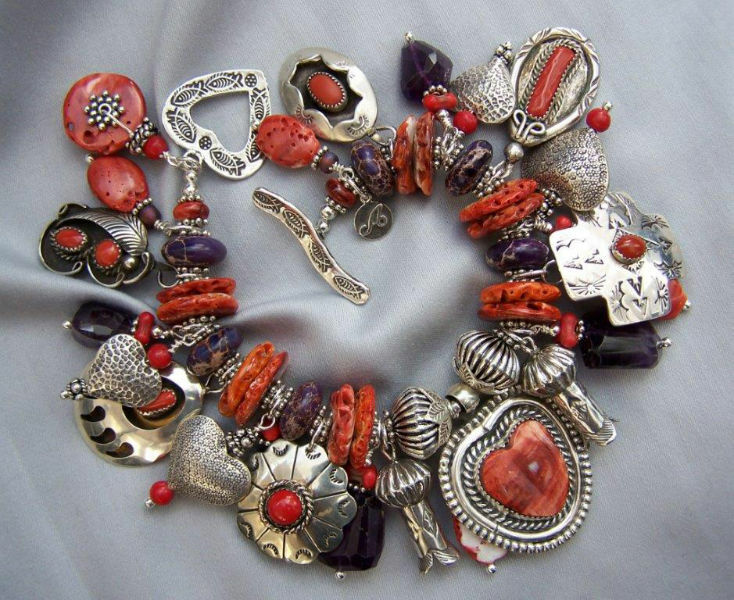 There’s a lot of bits and pieces in this very special bracelet. 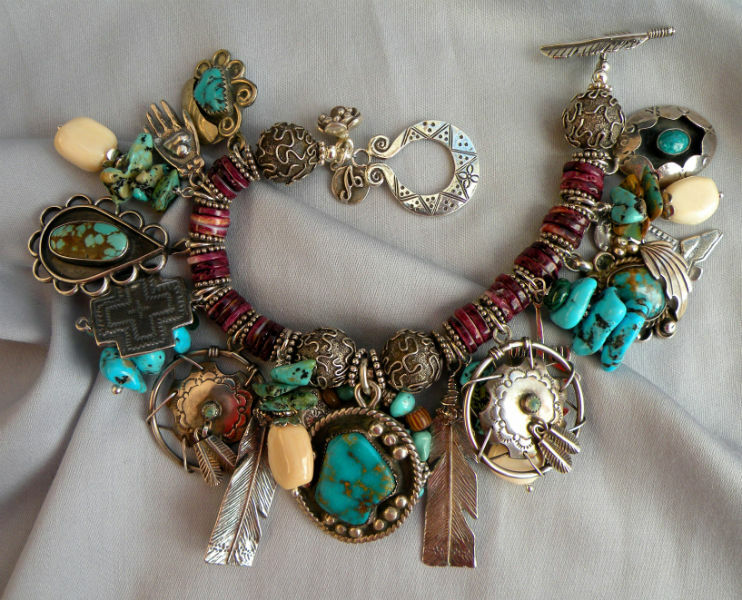 Its very full and it carries a large verity of charms from Native American to antique trade beads with lots of sterling silver charms. 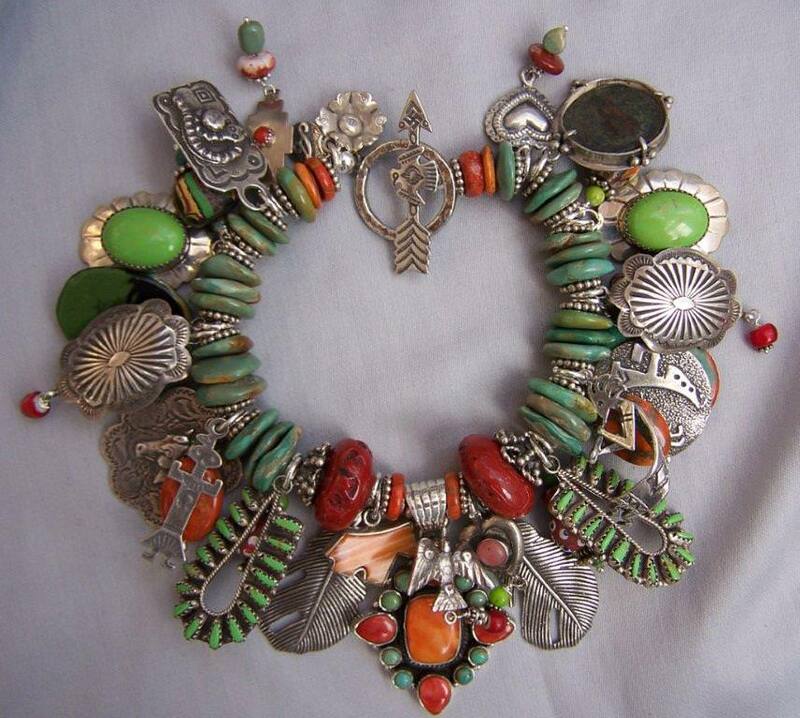 The focal charm is by Dan Dodson of Santa Fe, made with spiny oyster, green turquoise and apple coral. It is signed on the back. 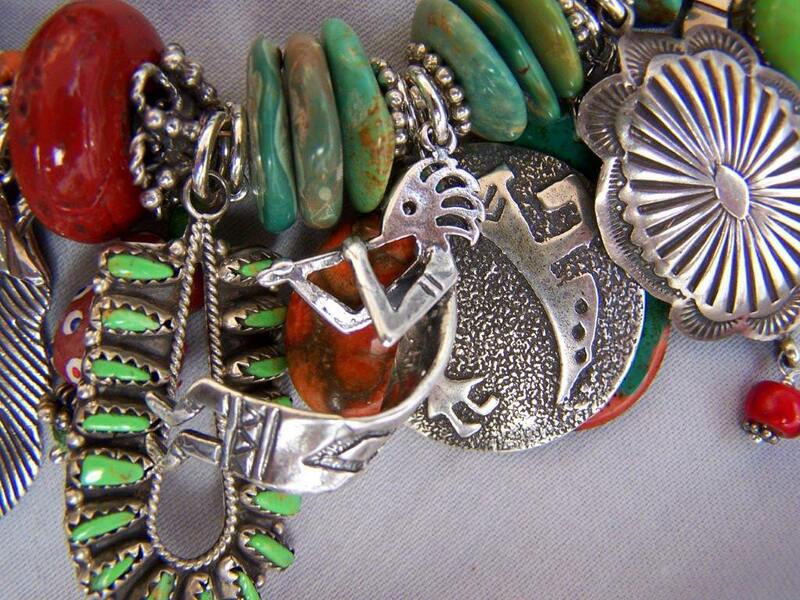 Flanking the pretty focal charm are two green turquoise loops with tiny snake eye green turquoise stone, two sterling feathers , two green turquoise and sterling charms with large stones set in saw tooth bezels and scalloped sterling designs. 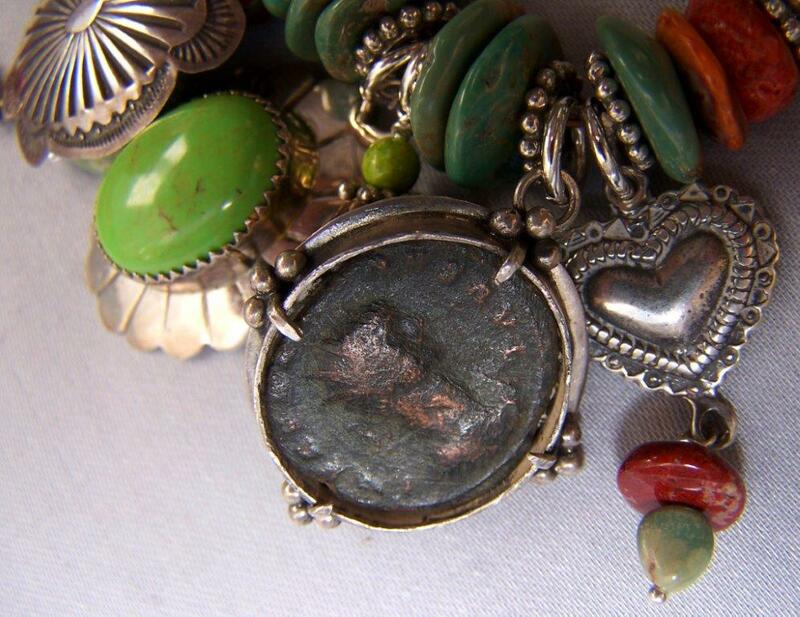 These charms are signed. 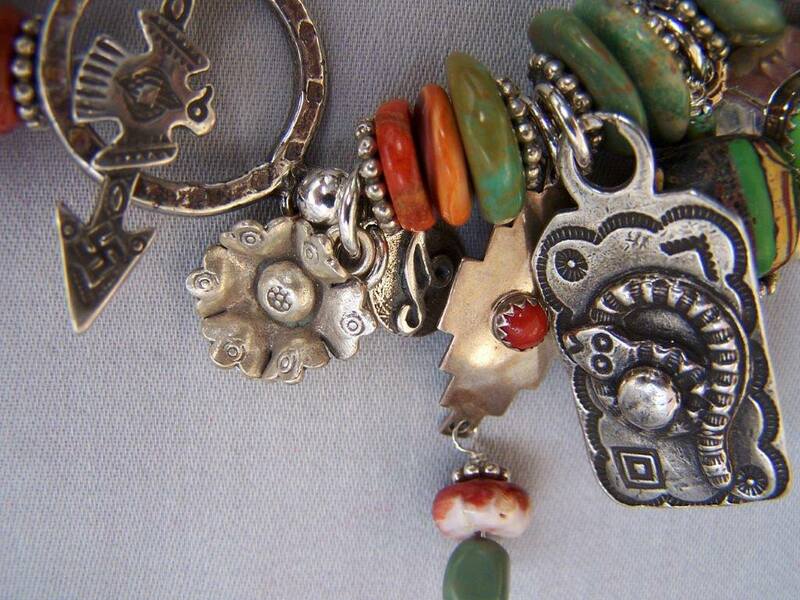 There’s an antique Roman coin set in sterling silver, sterling concho charms, a silver Kokopelli, a Kachina, a fine sterling horse charm, a little spiny oyster horse, 2 hearts and others which the pictures show. 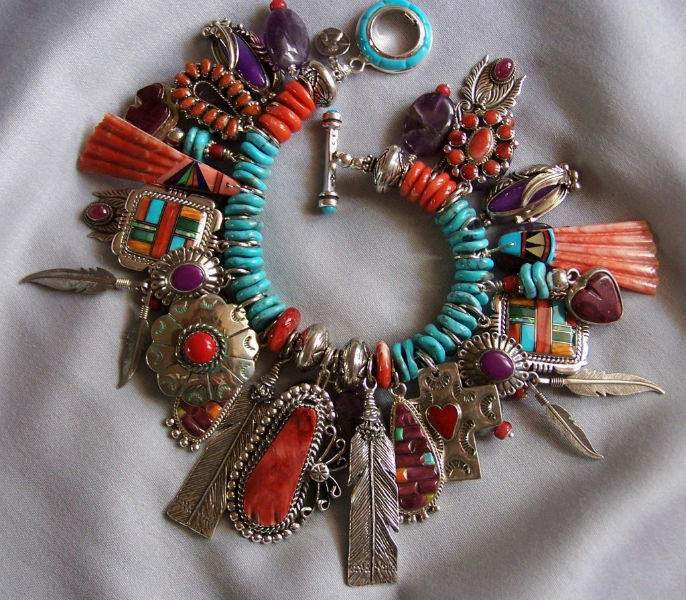 The band of this 8″ bracelet includes two red Mountain coral glass beads and the rest are natural green turquoise with a bit of spiny oyster added for color. 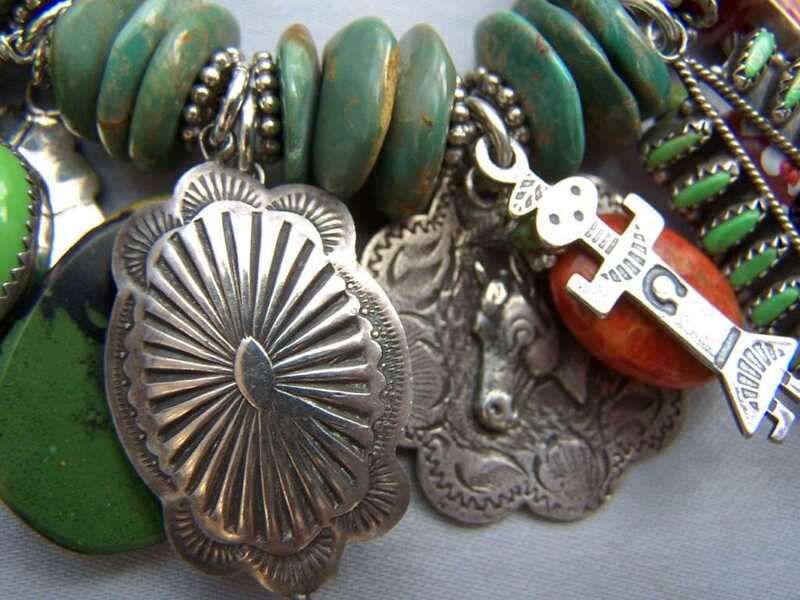 The sterling clasp is large and easy to use, with a toggle bar showing a fine silver arrow with a Thunderbird. 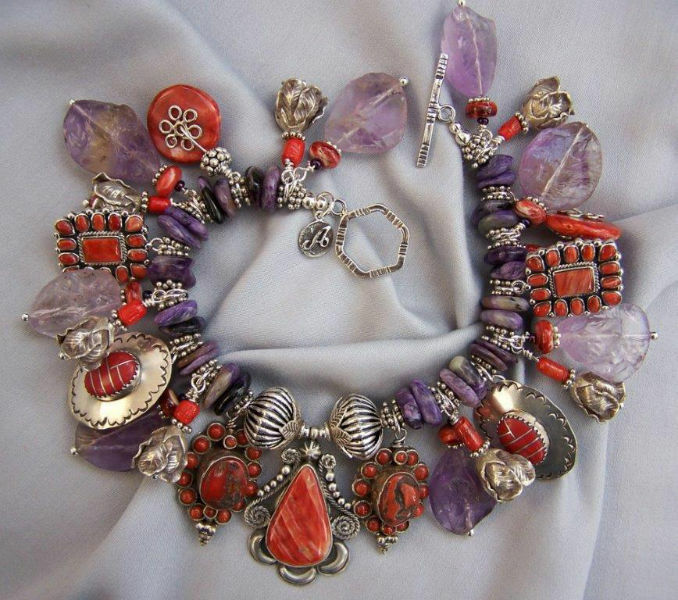 This is a showy, noticeable and elegant bracelet, lovely to look at and hard to ignore!